Having a rich social life has been frequently correlated with longevity. Humans are so dependent on other people that, in the past, being excluded from the tribe was basically the equivalent of receiving a death sentence. Other studies have found a similar social-longevity link in all studied non-human social species — all but one adorable rodent: the marmot. For the largest squirrel hanging around with its peers for too long can lead to premature death. That’s the conclusion a team of biologists at UCLA led by Daniel Blumstein came to after studying 66 female yellow-bellied marmots (Marmota flaviventer) between 2002 and 2015. Blumstein and colleagues tracked the activities of various marmot groups, carefully noting and measuring their interactions such as burrow sharing and grooming. The researchers expected to encounter a positive correlation between close social contact and longevity but it was quickly evident the reverse held true. “These results are inconsistent with what has been previously reported in humans and other species,” the authors reported in the journal Proceedings of the Royal Society B. The more social the marmot was, the shorter their lifespan, the scientists found. Conversely, these large ground squirrels live longer, on average, if they were less social. But these findings weren’t entirely surprising. 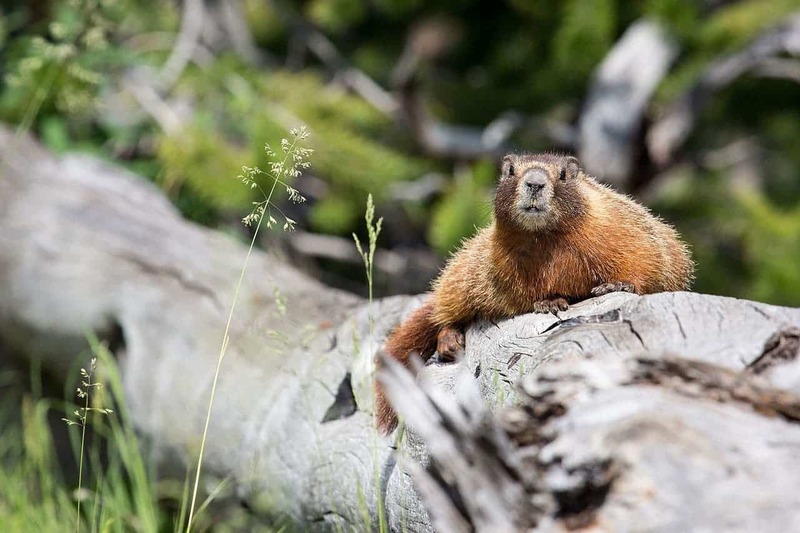 Previously, another study found female marmots connected to large social networks were more likely to die over the winter than those with few or no social relationships. Marmots are, according to Blumstein, so-called “facultatively social” animals, meaning you can encounter them in various social configurations such as large groups, small family-based mobs, pairs, and in complete isolation. A 2010 article in the journal PLOS which summarized 148 studies of the effects of social isolation on human mortality found that lack of social contact dramatically raises the risk of dying an early death in humans. People without friends have a staggering 50% higher mortality rate than people with strong social networks. Our relationships can influence our health in a variety of ways, researchers say. One important aspect is dealing with stress, for instance. Having people who care and support you can help a great deal when facing stressful situations. Friends and family are known to encourage healthy behavior such as eating better, exercising, getting more sleep and visiting the doctor. Social relationships also provide meaning to our lives and might influence us to take better care of ourselves or take fewer risks. For the yellow-bellied marmot, at least, having other furry friends around offers no protection against stress. Perhaps these social interactions themselves are stressful. Blumstein speculates that their results might be because marmots aren’t necessarily social; being social is an option rather than a necessity for them. As such, the energy spent on ‘being social’ might shorten their lives. “Being social has benefits, but we’re finding costs of being too social. By studying a species that doesn’t want to be social, we are finding insights we wouldn’t have found by studying social primates,” Blumstein said. Scientific reference: Strong social relationships are associated with decreased longevity in a facultatively social mammal, Proceedings of the Royal Society B, rspb.royalsocietypublishing.or … .1098/rspb.2017.1934 .